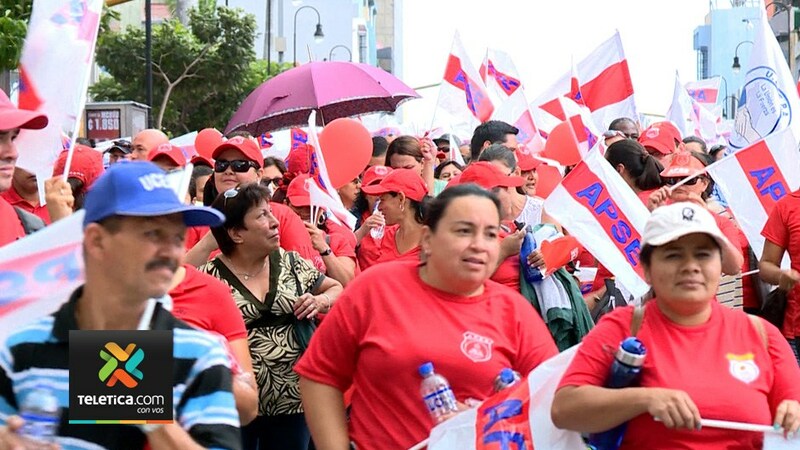 The streets of downtown San Jose will full of protestors today Tuesday, as teachers plan to concentrate in front of the Ministry of Education (MEP) building in Paseo Colon. The movement is convened by the Asociación de Profesores de Segunda Enseñanza (APSE) – Association of Teachers of Secondary Education, teacher union. The teachers are striking to make known their seven claims that include work overload, oppoision to a 1% increase in the pension payment, pay deduction for the strike day of September 2015 and the need for a decent salary increase. According to the union leaders, teachers from all 51 regional sectors will convene on the capital today and do not rule out strikes.